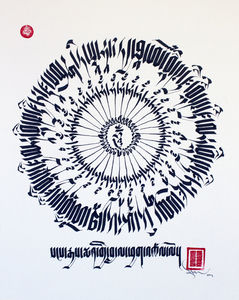 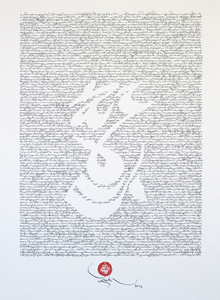 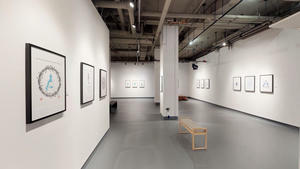 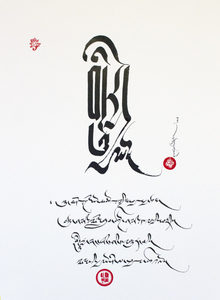 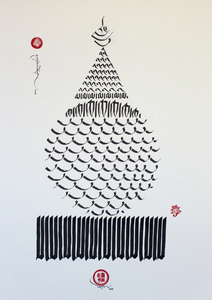 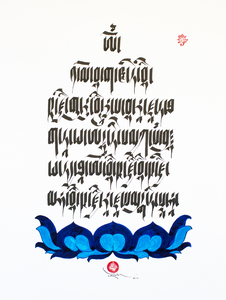 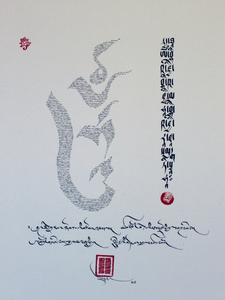 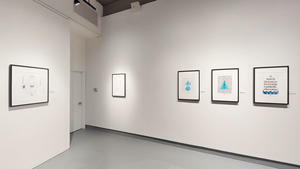 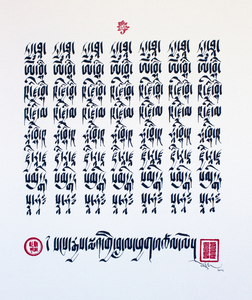 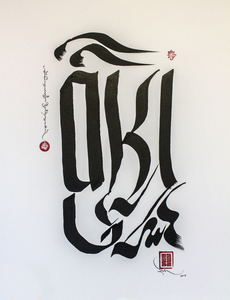 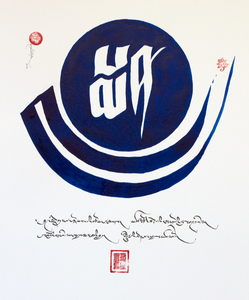 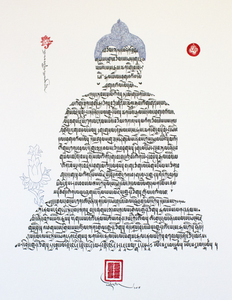 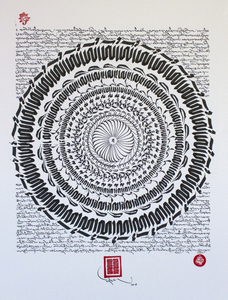 Tibet House US Gallery is pleased to present Mantra in Motion, an exhibition featuring a series of exquisite, recent works by master calligrapher Jamyang Dorjee Chakrishar. 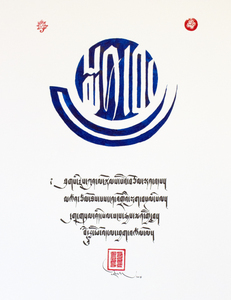 This exhibition will run from September 13th until November 8th, 2018, with an Opening Reception to be held on Thursday, September 13th from 6-8pm. 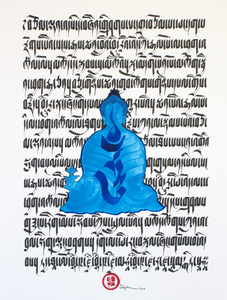 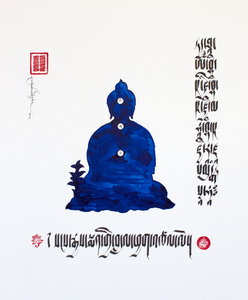 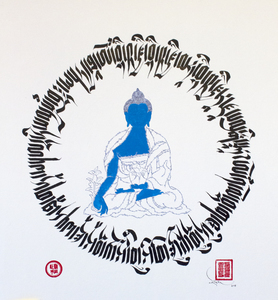 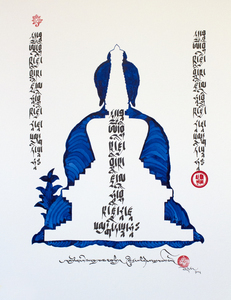 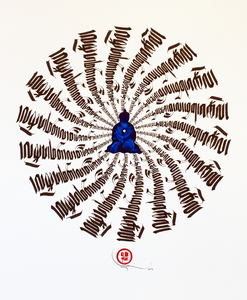 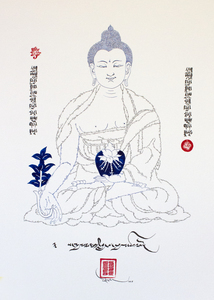 The central theme of the collection is the Medicine Buddha, and artist Jamyang explores various paths to elaborate the extraordinary and precious healing nature of the Medicine (Blue) Buddha, who comes from the eastern Pure Land - the Lapis Jewel Land. 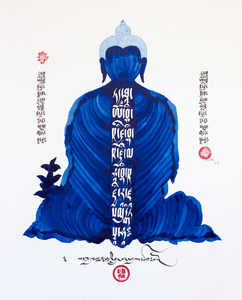 The Medicine Buddha is the supreme healer in Tibetan medicine and holistic healing tradition, a refuge in times of illness, and helps put an end to the three poisons: attachment, hatred, and ignorance. 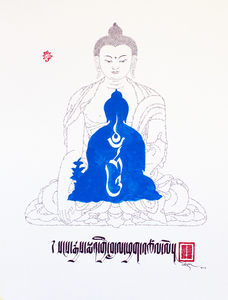 Today, around the world, reciting the Medicine Buddha mantra, and visualizing the image of this particular Buddha, is widely practiced, in order to receive good health and protection. 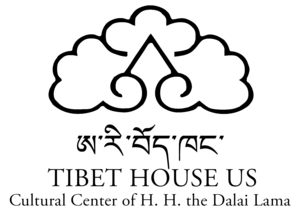 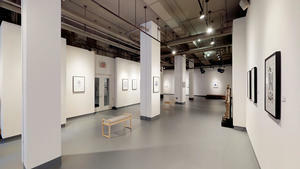 The exhibition, exclusively depicting the healing Buddha as its central theme, was prepared for display in the Tibet House US Gallery, and it offers a timely reminder of the extent to which the Ancient healing tradition of Tibet is regarded as sacred.